Minecraft 1.8 has been out for a while now and I’ve put some time into it to see what works and what doesn’t Here’s the AA Gaming Hub take. 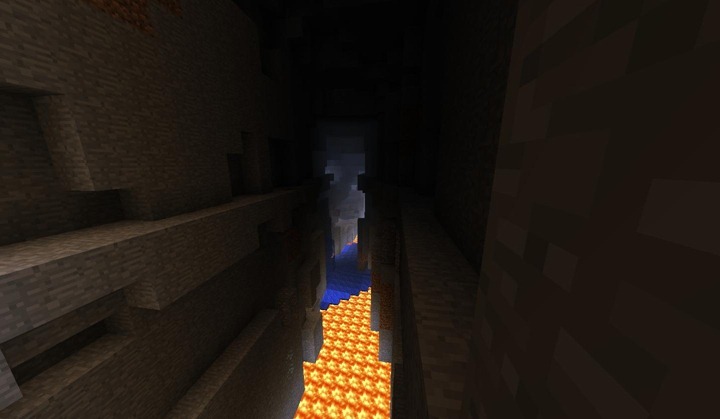 The game world is now riddled with ravines, deep trenches in the ground. 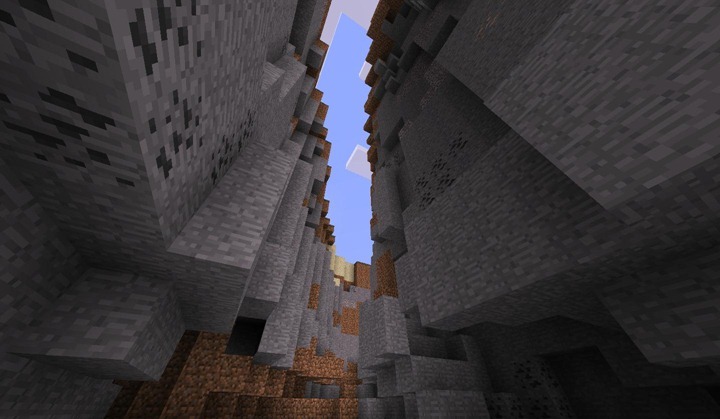 The surface ones can be pretty cool to explore (provided you can get down into them safely). The underground ones, though can be even cooler. 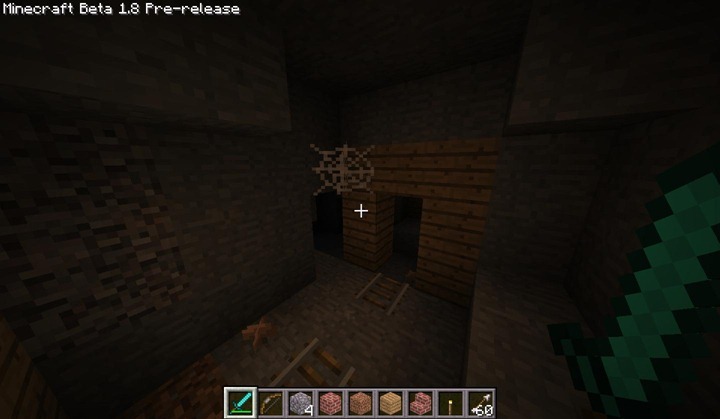 I’ve often found them near abandoned mines, another 1.8 addition. They’re not real exciting but it can be hard to find your way back out once you navigate their maze-like tunnels. There are supposed to the ‘cave spiders,’ but I’ve not seen any yet. They’re said to poison the player, which makes them sound oh-so-fun to tangle with. Another new feature is the addition of NPC-less NPC villages (you figure it out – I gave up). These villages are fun to visit and can be a source of resources for a beginning player (especially wheat) but otherwise don’t accomplish much. 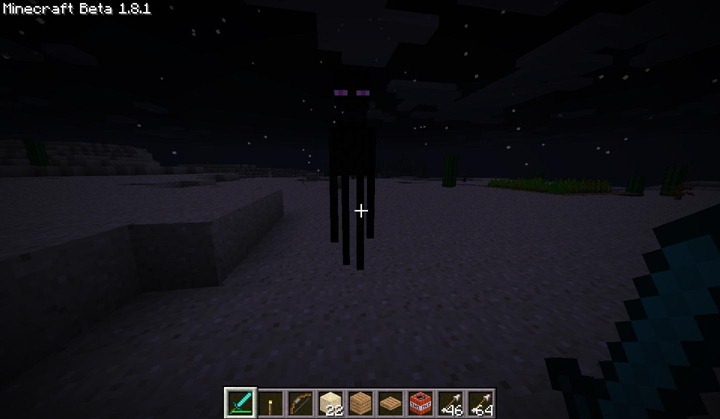 I was going to use one to hole up for a night before remembered I wanted to go meet an Enderman. He’s a friendly little bugger, isn’t he? The reality is that they’re not much different from zombies, aside from being faster and able to teleport. The teleport ability is only dangerous if you’re running from him. If you’re fighting him it’s really of no consequence. Or at least, it shouldn’t be. One time I had one teleport completely out of the game. He was nowhere to be found at all, so I went on my way. After some wandering he reappeared and attacked me again. That’s just cheap. 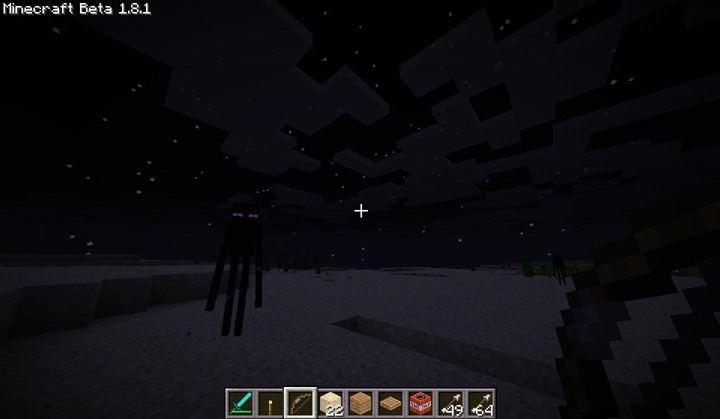 When killed they drop totally useless Ender Pearls, along with the new experience orbs. Don’t get me started on those – they don’t do anything and drive me crazy. 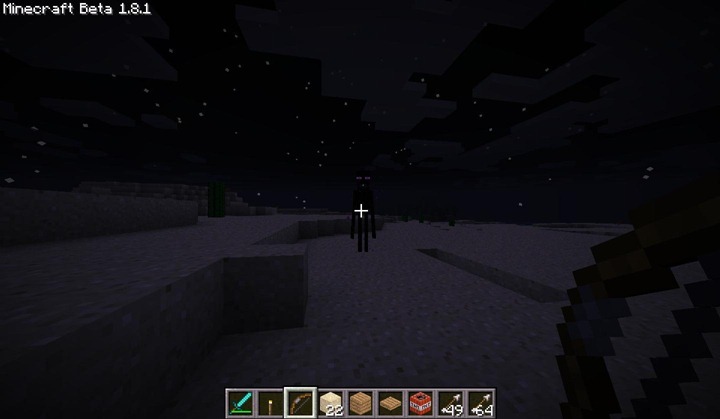 You can also start a world in creative mode. 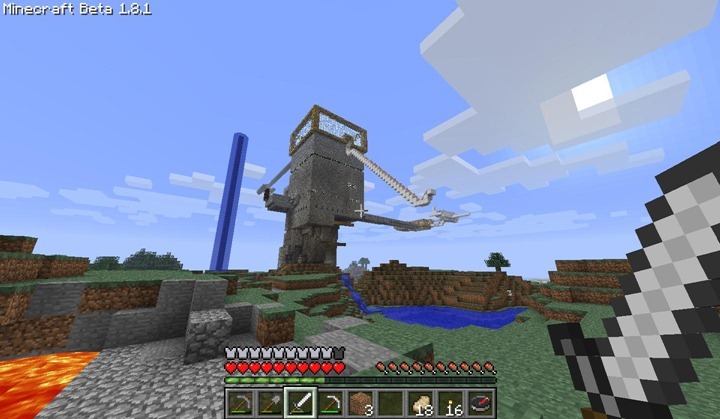 Being invincible while flying around placing whatever you want wherever you want can be fun, and ability to change on the fly in multiplayer can result in nonsense like this building Omega and I built on our server. The game ultimately isn’t changed. With a new update due ‘”soon,” maybe we’ll see some real game-changers. Until then, 1.8 is nice but not revolutionary.